Happy Hump Day everyone! 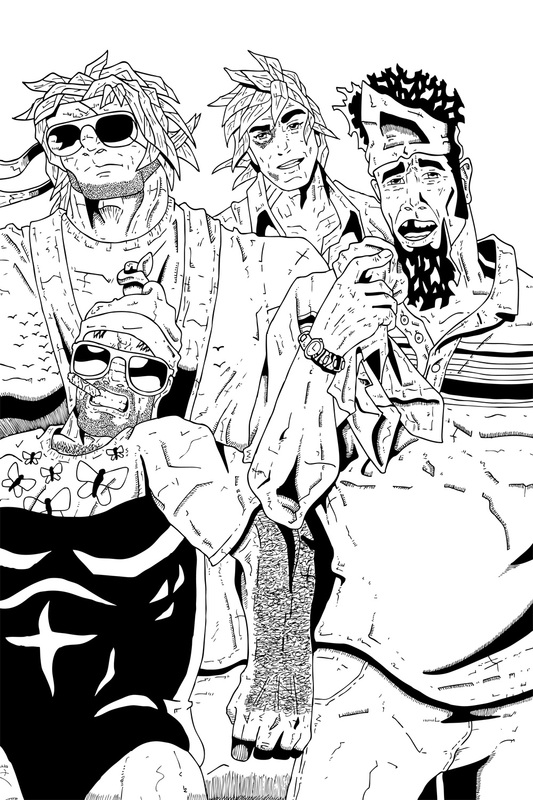 I hope you’re all enjoying my tribute to The Hangover with the Mission 005 cover. I tried several different Vegas themed movies but landed on The Hangover the moment I envisioned Eagleheart as the baby being held by Deadeye. I know that it was too good and too ridiculous to pass up. Before that I tried Fear and Loathing in Las Vegas, Vegas Vacation, Snake Eyes (and several other Nicholas Cage movies) but none were iconic enough to be instantly recognized. Let me know what you think of the cover in the comments below! Have a great day and I’ll see you all back here on Friday to kick off the long weekend (for my Canadian fans at least)!